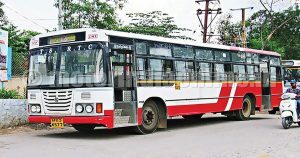 The TSRTC Officers Union on Thursday condemned the attack on Greater Hyderabad Zone executive director A Purushottam Naik allegedly by the workers and wanted action against those responsible. According to the Association members, an RTC employee Mazhar Ahmed was dismissed for negligence in duties at Medchal depot. Mazhar came to the ED to request for re-appointment. Naik said that he would have to work in Central University depot to which Mazhar opposed saying it would be far away from his residence and wanted the appointment in Medchal depot only. 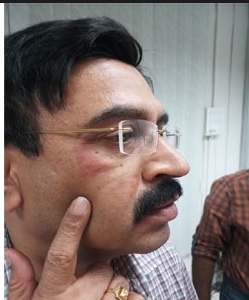 The INTUC leaders B N Reddy and Venugopal, who came to the office along with Mazhar, also insisted for Medchal and when Naik refused to heed to their demands, the workers attacked him, said the association members.